Montefiore Health System in New York City has been moving toward risk-based contracting since 1996. Montefiore Health System is seeing growth in its revenue over expenses and stable volumes at its Bronx hospitals. The Bronx-based not-for-profit health system's excess of revenue over expenses was nearly $119 million for the nine months ended Sept. 30, 2018, up 66% compared with $71.5 million during the same period in 2017. That accounts for items such as value-based payment and provider programs, malpractice insurance program adjustments and grants for the purchase of property, buildings and equipment. Montefiore Health System's total operating revenue grew 8% to $4.4 billion in the nine months ended Sept. 30, 2018 compared with $4 billion during the same period in 2017. Expenses grew 7.5% during that time. The health system has 11 hospitals and more than 200 primary and specialty care sites across New York's Bronx, Westchester, Rockland and Orange counties. Montefiore Medical Center encompasses four of the health system's acute-care hospitals and accounts for 66% of its total operating revenue. The medical center grew its total operating revenue 4.6% to $2.9 billion during the nine months ended Sept. 30, 2018 compared with the same period in 2017. Its revenue over expenses before other items grew 4.5% during that time to $15.8 million. The medical center's operating margin was 0.55% in the third quarter of 2018, compared with 0.7% in the third quarter of 2017. 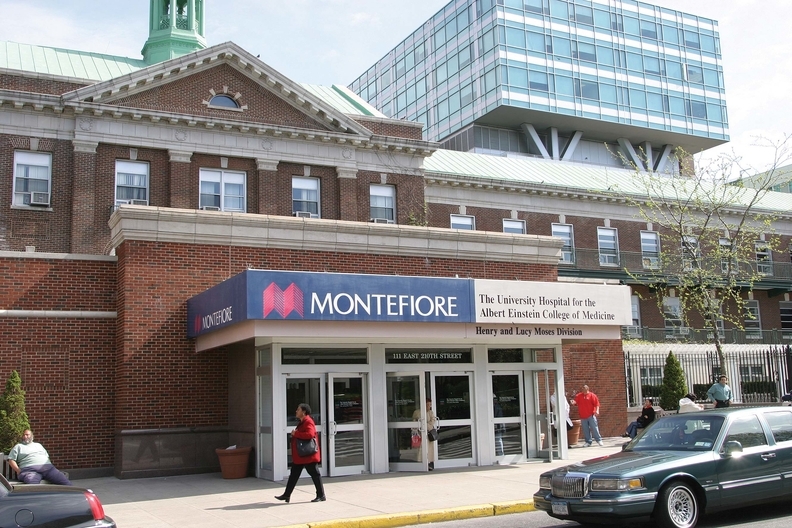 Montefiore said in a statement that the medical center struggles with decreased federal reimbursement rates under Medicare and flat reimbursement under Medicaid, noting that 85% of its patients rely on Medicaid. Ever-increasing pharmaceutical and labor costs also pose challenges, the statement said. The medical center's discharges grew 1.5% in the nine months ended Sept. 30, 2018 compared with the same time in 2017, to 67,000. Patient days declined 1.4% during that time to about 380,000. Emergency room visits declined about 1% year-over-year to about 191,000. Primary care visits grew 2.3% to 591,000. During the same period, the medical center's net patient service revenue from commercial payers and managed care grew from 31.3% to 32.2% in the nine months ended Sept. 30, 2018. Medicare and Medicare managed care dropped from 34.9% to 32.4% during the same period. Medicaid and Medicaid managed care also dropped from 33% to 34.7% during that time. The medical center took in $42.3 million through its malpractice insurance program in June, about $30.8 million in retroactive premium adjustments and $11.5 million from investment gains at captive insurance companies. Montefiore and other prominent New York City hospitals announced they are selling the professional liability insurer and third-party administrator that were at the center of a hidden scheme to funnel hundreds of millions of dollars back to the hospitals using offshore captive insurance companies.